The Neighbourhood: I Love You. Over-enthused eclecticism and a lack of focus cause I Love You. to fall short too often. 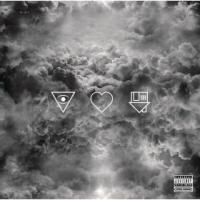 Los Angeles outfit the Neighbourhood seek crossover success with their 2013 Columbia debut, I Love You.. Over the course of 11 tracks and 46 minutes of music, the Neighbourhood fail to lock into one definitive style, straddling elements of indie-rock, pop, hip-hop, and R&B. The ends of the quintet’s "eclectic" means is mixed as opposed to being triumphant. The songwriting generally trends over-simplistic, coupled with an identity crisis which too often undoes or underwrites the band’s good ideas. Because of a lack of focus in some respects, I Love You. ends up falling short too often. “How” establishes a dark, moody nature about the effort. Frontman Jesse Rutherford introduces the listeners to his distinct voice with heavy lyrical content: “How could you question God’s existence / When you question God himself? / Why would you ask for God’s assistance / if you wouldn’t take the help?” “How” is not "definitive"’ per say, but easily highlights the band’s potential and strengths. Follow-up “Afraid” takes a back step, with Rutherford’s somewhat thin vocals being covered by overwrought, dense production work. Similarly, “Everybody’s Watching Me (Uh Oh)” is adversely affected by "too much" production, which takes away from solid melodic ideas being presented, particularly on the chorus. Like the previous cuts, darkness characterizes. “Sweater Weather” gives the Neighbourhood a much-needed lift. Quick-paced lyrics on the verses give a nod to hip-hop. The chorus is all schmaltz (“Cause it’s too cold / For you here and now / So let me hold / Both hands in the holes of my sweater”), but the melody atones. On “Let It Go”, R&B is fully realized within the group’s eclectic means. While it works well enough as its own entity, within the scope of the effort it seems out of place, hurting overall cohesion. “Alleyways” highlights the outfit’s lyrical immaturity, making the 20-somethings sound like teenagers, evidenced by the chorus: “And whenever the sun came out, we played / (We didn’t want to get older…) / We would run on the block all night and day / (We didn’t want to get older)”. Even a bold f-bomb fails to give The Neighbourhood adult credibility. “W.D.Y.W.F.M. ?” continues Rutherford and company’s "youthful" stance, accentuated by rebellious lyrics like “I’m fucked in the head, and my mind is turning into a whore” or the annoying, modern pop multisyllabic treatment of lyrics “What…” The profanities become more prevalent on “Flawless”, but their power is undercut by predictable placement…bummer. On “Female Robbery”, a blend of hip-hop and pop acknowledges both the group’s range and lack of a signature sound. Lyrics continue to be so-so, particularly on the big, childish “Staying Up”, which might even come off ridiculously to teens (“Some part of me feels a little bit naked and empty / I’m stuck underneath a few dirty old blankets to comfort me”). “Float” opens busily, delivering on its musical ideas. Still, issues can be taken between the mismatch between Rutherford’s lead and edgier music ideas that often limit the frontman’s effectiveness. Ultimately, I Love You. is an extremely flawed debut with good intentions. There are hints of greatness at times, but those hints are often masked in the excess of gargantuan production or underdevelopment. Generally, there is nothing wrong with eclecticism and willingness to experiment, but it becomes a problem with a lack of a core identity. The Neighbourhood will need to fine-tune details next go-round.